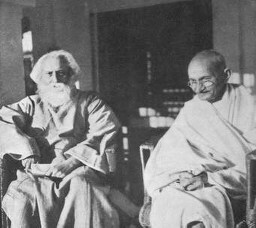 Tagore and Gandhi. . Wallpaper and background images in the Rabindra Nath Tagore club. This Rabindra Nath Tagore photo might contain surcoat and surcot. Join the Mahatma Gandhi Fan Club!